Fat 16th bundle 64 rainbow prints exactly as shown in the photo and is equivalent to four metres of fabric. 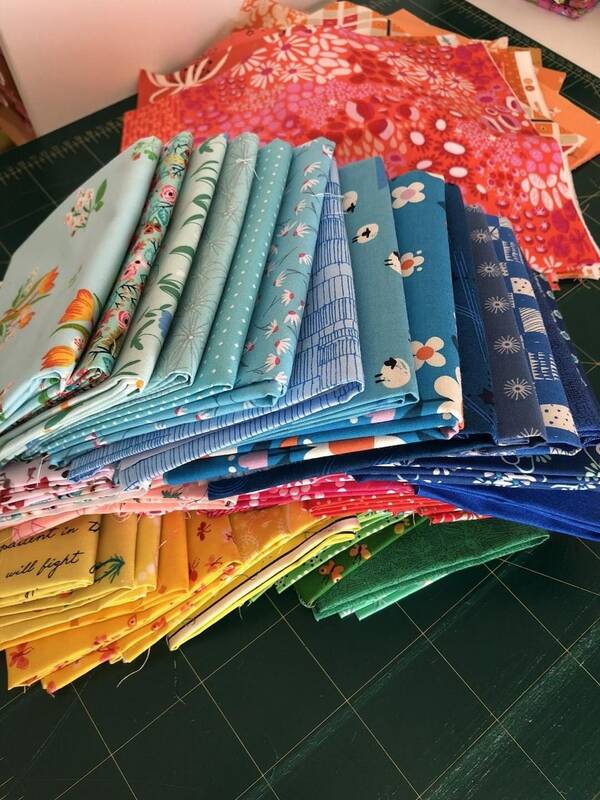 Fabrics are brights which were cut as a kit to start the Meadow quilt by Michelle McKillop. All fabrics are designer quality 100% cotton. Fat 16ths measure approximately 9" x 11".